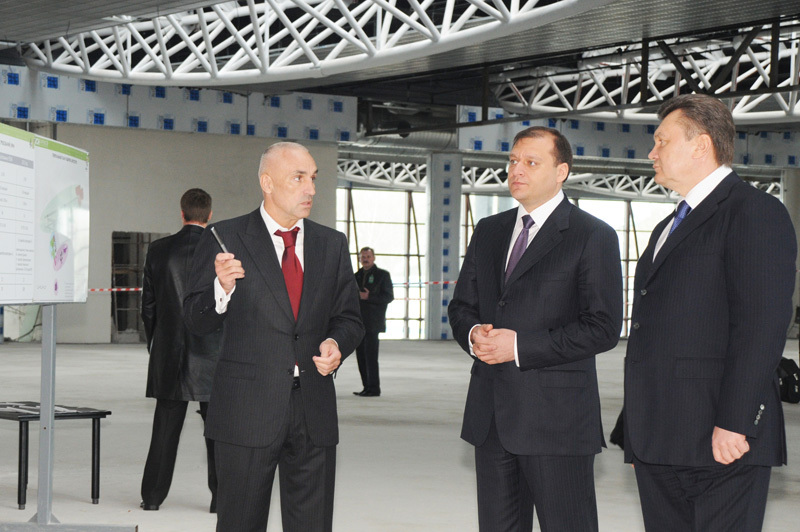 On April 21 President of Ukraine, Viktor Yanukovitch and retinues visited construction site of new terminal of International airport “Kharkiv”. During the visit of delegation Aleksandr Yaroslavskyy, main investor and coordinator of Kharkiv preparation for EURO 2012, presented information about reconstruction of “air gateway” in Slobozhanschina. Particularly information about aeroforum Routes CIS that take place June 7-9, 2010 was presented to the head of the state. Take into account that aviation industry is one of the priorities for government industrial policy the future forum was approved by representatives of central authorities. Besides delegates had a positive impression of Kharkiv airport reconstruction and expressed the confidence that when construction will be finished airport will become one of the most modern in Europe. As it was informed earlier, prestigious international aeroforum Routes CIS will be held in International airport “Kharkiv” on 7-9 June, 2010. The event will be held under International Route Development Forum. Kharkiv will become the first city within the territory of CIS countries where will be held regional forum for airlines and airports. It became possible due to dynamic development of Kharkiv airport that DCH group of companies and the owner of the group Aleksandr Yaroslavskyy realizing under the Kharkiv preparation for EURO 2012. Organizing committee includes representatives of DCH group, international airport “Kharkiv” and event operator company “Invest in Kharkiv”.